The MiniX Android Media Player Box easily connects to any home or office network by WiFi and allows you to get access to thousands of FREE videos, TV and Radio stations, both local and international. Type in what you want to watch and it will find it for you. Watch your favorite web videos, view photos, access streaming music or videos, play YouTube videos and do everything else you''re accustomed to doing online. Plus everything is brought to you at lightning fast 150bps wifi-n speed. Other than tremendously enhance multimedia capabilities of your TV, the MiniX turns it into a super tablet instantly. Chatting through the Twitter app? Sure! Sharing pictures through Picasa? Of course! Checking weather through WeatherBug? Not a problem! The MiniX media player let you experience the Android operating system in a newer, bigger way! 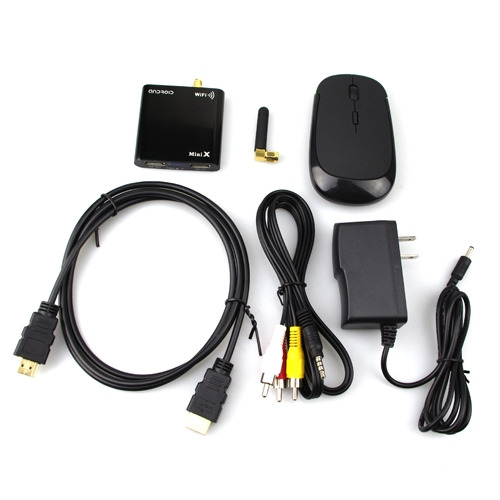 MiniX--World''s smallest and Most Powerful complex of Android TV box/Android PC/Netword media Player/Game player.